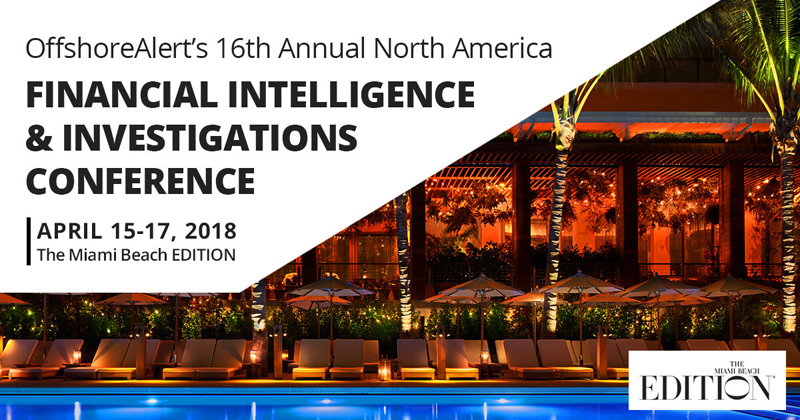 OffshoreAlert’s announcement said, “A former Government leader of Bermuda – where leading offshore law firm Appleby originated – will discuss the ‘Paradise Papers’ at the upcoming OffshoreAlert Conference in Miami Beach. “Michael Dunkley, who was Bermuda’s Premier from 2014 to 2017, will speak alongside Gerard Ryle, head of the International Consortium of Investigative Journalists, and Frederik Obermaier, one of the German reporters to whom both the Panama Papers and Paradise Papers databases were directly leaked. Dunk’s, just ST*U, you’re irrelevant & will never be elected again!!!! I say send Chris Famous instead. 24-12. LMAO!! Could you imagine anyone from the PLP attending this? No, they are too gutless. Fair play to Dunkley, he didn’t have to do this. Pretty sure he dont care abt being “irrelevant” as u put it. Lol. The man makes money in his sleep. You are joking right? Offshore Alert loves nothing more than trashing Bermuda and this little jaunt gives credibility to an outfit that has never wished us well. This is even dumber than Baron’s Mexico excursion. Famous and the plp wouldn’t last 5 minutes. Attending period is a very bad idea. David Marchant is no friend of Bermuda – ever since Dunkley’s UBP party pulled his work permit 30 some years ago. If my memory serves me correctly, Dunkley was on the Board of Immigration at the time. The best way to handle Marchant is stay far away.